The lovely Rebecca has one of the most gorgeous homes on Instagram, and you can totally see why the lounge is her favourite room - I absolutely love the monochrome look, it's so clean and crisp and the little pops of grey and blush pink finish the room off perfectly. 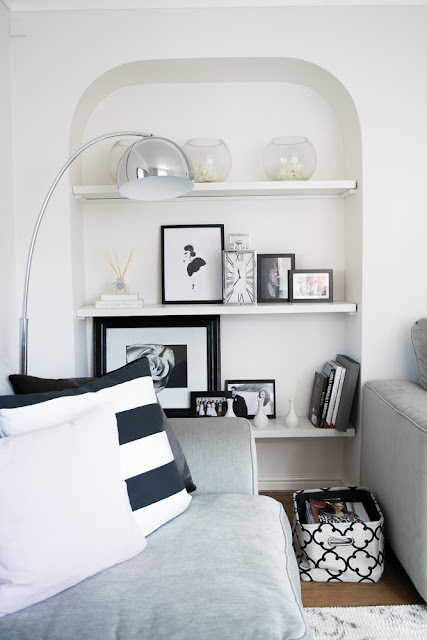 I'm in love with the shelving in the alcove here - how perfectly are they styled? 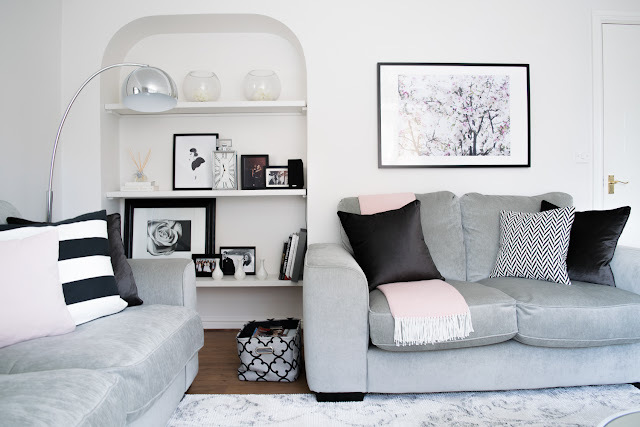 I absolutely love the silver lamp too, I can just imagine curling up with one of those magazines in this corner (on that note, even the basket they're stored in is perfect for this room!). I think this is my favourite part of the whole room. 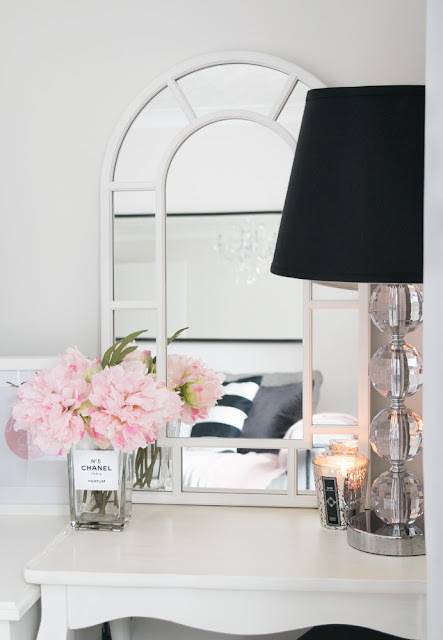 I can't get enough of this mirror, and how beautiful do those peonies look in that gorgeous vase?! Totally dreamy. If you're anything like me, you'll be completely obsessed with marble. 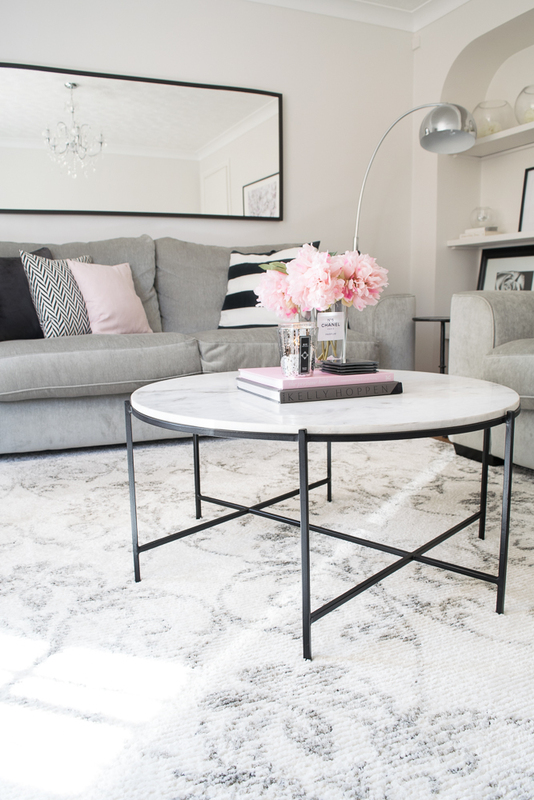 I've been trying to think of ways to squeeze it into my home for ages, but how amazing does it look topping off Rebecca's coffee table?! The styling of those books is absolutely perfect too - certainly beats all the milky muslins and half drunk cups of tea that are currently adorning mine! You can't go wrong with a chandelier can you, especially one as gorgeous as this! 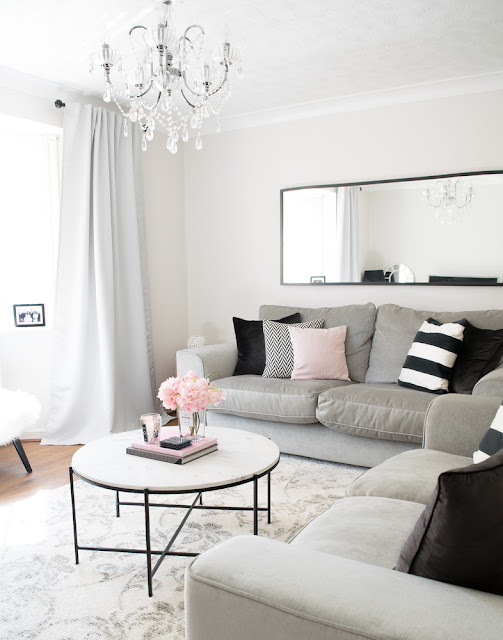 That beautiful big mirror looks so good there too, reflecting light to make this room even more light and airy than it already is. And to top it all off, if you didn't think this room was perfect enough, just look at that stunning blossom artwork above the sofa! Thanks for reading, and thanks so much to the lovely Rebecca for letting us have a nose around her favourite room. 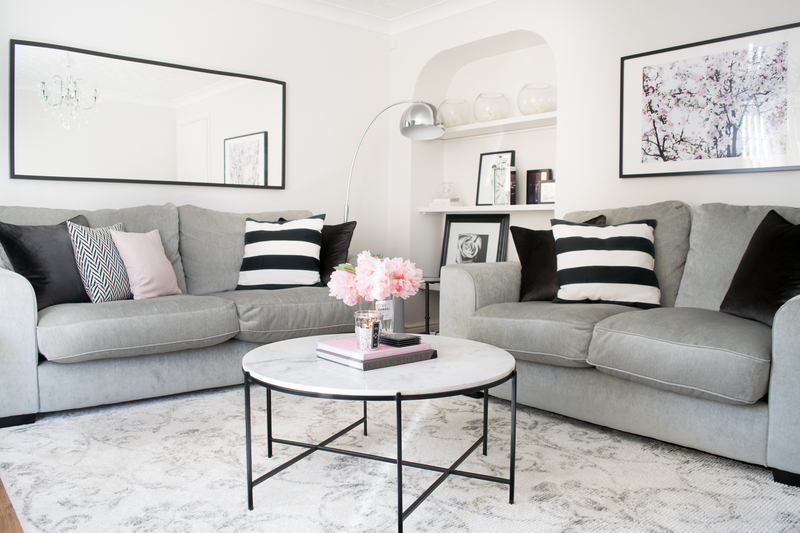 Have a look round the rest of her home over on Instagram here, and enter your home using the hashtag #dovecottagemyfaveroom - I'll feature another inspirational room next week.